Egypt- the exquisite land of mummies and pyramids! awe-inspiring temples and pyramids have captured the imagination of visitors. History dating back to centuries! The country which have seen the onset and destruction of pharaohs. Has some Millennia-old monuments, the boon of nature to them in the form of fertile Nile River Valley, prides in bearing the Giza’s colossal Pyramids and Great Sphinx, Luxor’s hieroglyph-lined Karnak Temple and Valley of the Kings tombs has lots to offer travellers to quench their thirst of explorations here. This country’s tourism got more profound after the movies like the mummy was shot here and dedicated the whole idea to the old lives of the pharaoh, their pyramids and their concept of mummies! Here, are some destinations which carry the prestige of being cultural and naturally blessed with Egypt’s inheritance. One of the Seven wonders of the world, travellers often visit Egypt just to gaze at these long tombs and wonder how centuries back kings managed to build these with just the human source and what kept it intact over the years! This site is a must visit for everyone to know how our geniouses are an inheritance of our four fathers. Built as tombs for the mighty Pharaohs and guarded by the enigmatic Sphinx, Giza’s pyramid complex are a megalithic memorials to those dead kings of the Egyptian culture! labyrinth shopping souk of Khan el-Khalili that consists of unique forms of spices, textiles, perfumes,etc. The incredibly creation of nature, the white desert at Egypt is an alluring site in itself! The one place that has the sand in white with chalk stones that gives it a unique, spectative look. This, is something that’s not found anywhere else in the world! Dahab, is an excotic beach out here with an amazing resort, Sinai Peninsula. Sharm el-Sheikh, the modern style resort having some amazing options for travellers who desire adventures like water diving in the Red sea, etc. The bamboo huts standing in a line just near the border takes you back to time and enhances your beach experience here. One of the world’s oldest and most rich museum has a lot to offer for the visitors! The link building has some great remains of Egypt’s historical culture. It prides in having the golden glory of King Tutankhamen and the age-old royal mummies exhibits too. This fertile desert has many more attractions that are equally diversified in culture and has some great treat for all the visitors here. You can visit the Siwa oasis, Alexandria, St. Catherine’s Monastery, Abydos Temple and many more such places that are a proof of it’s exquisite beauty in its old, rich form. Kabab wa kofta (Grilled meats), (Alexandrian Sausages and Liver), Hawawshi (Egyptian meat pie), etc. The best time to visit the country is through out the year. Their summer can be really harsh, but almost a desert as it is, this climate is not a surprise for anyone even though, the river Nile offers them with enough vegetations and humidity. Well then, if you are looking for a place with something unique and diverse to offer, you know where to head to now!! Next Post Finland- Fastest ten reasons to visit the alluring country! Egypt is on our bucket list, Saba. My brother in law and his wife recently visited Egypt as a part of a group tour. I’m someone who prefers to travel solo with my family alone. Egypt, unfortunately, is said to be not safe enough to travel solo. I’m waiting for that day. Love the international flavor to your series. The kebabs looks yum! Well i am not sure if Egypt is on my bucket list. But i am compelled to say after reading your post I sure would love to visit some day. The photography is awesome. The dishes look yummilicious! The images look inviting and so does your post. Egypt is not on my bucket list, but after having read the post, there might be a second thought on it. 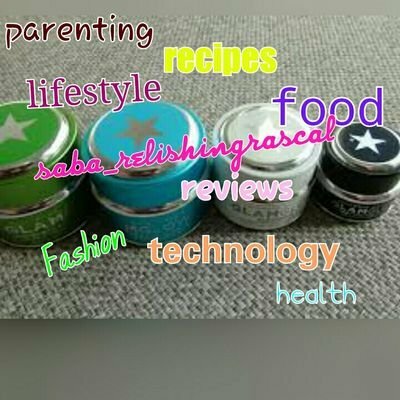 Saba.. you are truly dishing out relishing posts, having gone international now! I liked your panoramic description of Egypt which also included a dash of history to begin with. The pictures added to the delight of reading your post and helped us to get a pictorial sense of the place. Look forward to more such brilliant travelogues from you! I really loved the scenic locales I happened to see in the movie Mummy. There are quite a few re-runs of this movie in the television. The pyramids look fantastic. As usual awesome images.